Chili tastes better on the second day because the seasonings have time to develop. 1 Can I Substitute Ground Fenugreek for Fenugreek Seed? 2 What Can You Use to Substitute Peppercorns? If you're preparing chili and there's no ground cumin in your cupboard, you can substitute whole cumin seeds. Both versions of the spice have the same flavor -- after all, the ground version is simply the whole seed ground into powder. If you're shopping for ingredients for a batch of chili and have the option of ground cumin rather than the whole seeds, choose the ground powder. The term "chili powder" can refer to either a ground spice made exclusively from ground dried chilies, such as Guajillo, San Diego or Ancho peppers, or it can refer to a spice blend that uses ground chilies as a primary ingredient but also includes other spices, such as cumin, oregano and cinnamon. 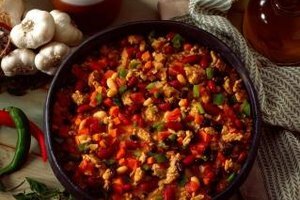 Unfortunately, chili recipes often don't specify whether they're calling for the single ingredient dried spice or the blend. Fortunately, either version works, and if you use the single ingredient powder, you can create a more complex flavor by supplementing it with other ingredients, such as cumin, which are typically used in the blend. Whether you are using a chili powder blend that includes cumin and then adding extra cumin as your recipe specifies, or using a powder made of just ground chilies and then adding cumin, the flavor of the cumin should not dominate the flavor of your chili. The cumin should provide an earthy background taste, one that adds depth and complexity, but doesn't necessarily stand out on its own. Ground, or powdered, cumin comes in particles small enough to blend easily with other chili ingredients without standing out, as long as you use restraint and don't add too much of it. Whole cumin comes in recognizable seeds that release strong, distinctive cumin flavor when you bite into them. 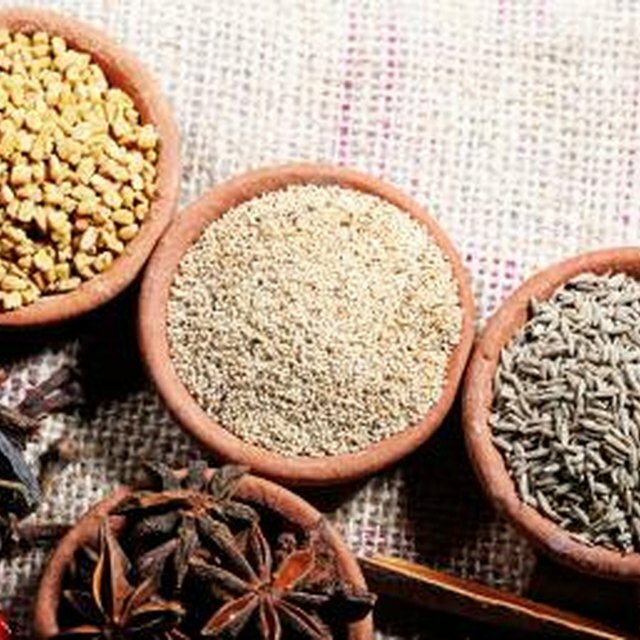 Because cumin provides a background flavor in chili, the ground spice is a better choice because it can be incorporated more subtly into the overall flavor of the dish. If you only have whole cumin seeds and you want to make a chili with subtle rather than overt cumin flavor, you can grind the whole seeds into powder. If you have a mortar and pestle, you can smash them patiently until they break down. You can also grind whole cumin seeds in a coffee grinder, although you should clean the grinder well after using it or use a dedicated coffee grinder for spices to avoid drinking cumin-flavored coffee.